You have printing devices deployed at your clients, but need application for managing all of them, and in the same time track all your expenses and revenues? Look no more. MfpCloud is perfect solution for you! Monitor all of your client’s printer fleet trough simple but powerful interface. Track your revenues, expenses and profit. 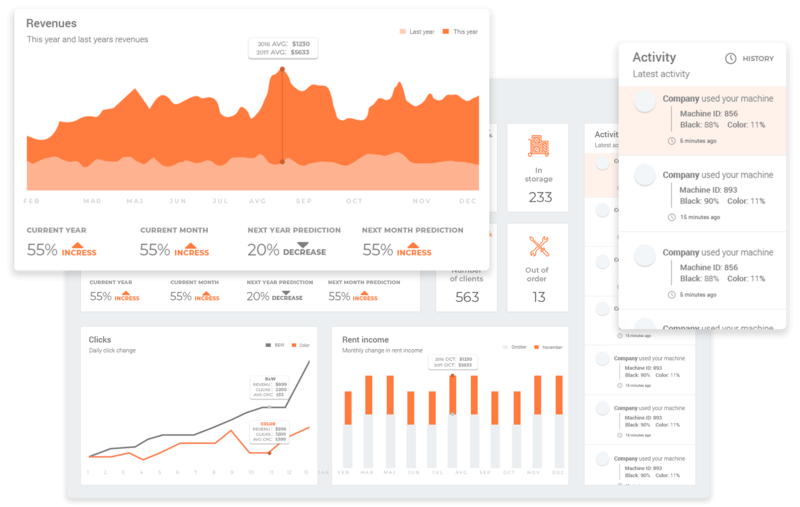 Use real time charts to clearly see status and trends of your expenses, revenues and profit. 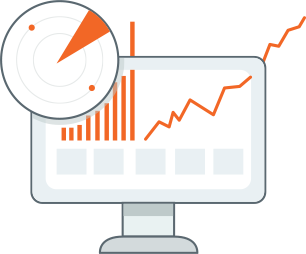 Monitor statistical data for all of your users, and find out which clients generate you most profit or loss. Enter and manage contract data per client and per device. Define details such as click price (B&W/Colour), maintenance and rent prices, which will be used to calculate your profits. Clearly see you invoice status per customer and time period. Generate invoice data with just few clicks. If you are using EPR software to manage you invoices, our development team can create custom tailored export for your input interface. Just import the data to your ERP and continue to manage invoices from there. Monitor all of your printing devices in one place, and clearly see each printer status, maintenance information, printing (colour and black&white) and scanning statistics, as well as model, location and network information. Our solution supports all major print solution manufacturers, such as SHARP, Canon, Lexmark, XEROX, Epson, Hp., etc. Our MfpCloud agent will automatically discover all printers on your network with ease. We work hard to support as many great brands as possible. Contact us for full compatibility list.